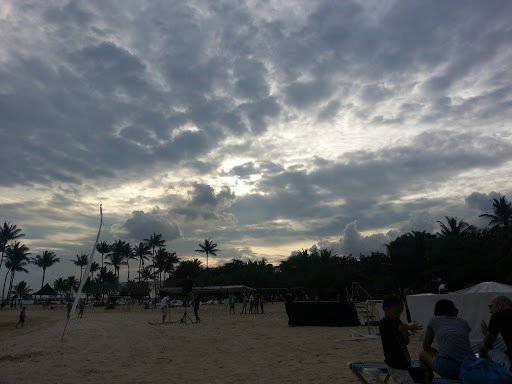 Photo taken with Samsung Galaxy S3 at Sentosa, Singapore on Sat, 7th Sept 2013. With best bud. Alas, another week at work but nothing prepared me for the ‘horror’ that a measly (and very regular plus ugly) 2014 Monthly Organiser bestowed me this afternoon as I swung by the bookstore. This year seems to have moved forth in an uncharacteristic rapid pace unlike previous years – or is this what we always seem to say during every single year that fades by? Fear that I may loose my memories as age continues to climb higher or keep not having a chance/space to share some of my self-proclaimed ‘wit’ with anyone because it is plain rude, sometimes… These are just some reasons why I’ve started blogging again. (My last post previously was in 2007.) Also, I’d like to share my stories and maybe some reviews as anonymously as possible since the Internet was for this afterall – to be anonymous and connect but I’m not too sure about this. Maybe I’ll reveal myself accidentally or intentionally, I do not know that now for the path that awaits me is unknown (for now atleast). Who am I? Living in Singapore, turning 26 sooner than later and surrounded with friends and family in this island. Will be posting up some photos and thoughts of my weekend in Jakarta soon. Oh wells… good night for now, love Lottie Reed. It is a pretty awesome place to be in, Singapore. Toronto should be kickass too?